Domestic dogs (Canis lupus familiaris) are one of the most common exotic species in protected areas, and their impact is an important conservation concern. This study evaluated the occurrence of domestic dogs in one of the world's largest urban forests, the Tijuca National Park (TNP; 3953ha), the most visited Park in Brazil. From April to September 2016, 42 camera-trap stations, spaced 0.5km among them, were set in TNP, covering an area of 1050ha. Population size and density of dogs were estimated, and the spatial distribution of dogs evaluated in relation to the distance to the Park's boundaries and to paved roads. Dogs’ circadian activity pattern and its overlap with those of the five most recorded native mammal species were also studied. The estimated population size of dogs was 29±4.86 (mean±SE) individuals, and the estimated density was between 0.74ind./km2 and 1.37ind./km2. Domestic dogs were widely distributed in the Park, and the number of independent dog records was not related to proximity to paved roads or the boundaries of the Park. The domestic dog was mainly diurnal in TNP, overlapping its activity mostly with the red humped agouti Dasyprocta leporina and the coati Nasua nasua. The absence of pups indicates that dogs come from surrounding areas rather than being a feral population within TNP. Therefore, managing strategies must consider the engagement of local people. Domestic dogs are among the most common exotic species in protected areas (Hughes and Macdonald, 2013; Paschoal et al., 2016) and thus a great conservation concern in the modern world. Domestic dogs have been living with humans for at least 15,000 years (Driscoll and Macdonald, 2010) and today its world population is estimated around 700 million individuals (Hughes and Macdonald, 2013) widely distributed in all continents and on most islands. Dogs’ dependence on human assistance varies along a continuum, ranging from “pets” which are being completely dependent in one extreme, to feral dogs living in wild populations with no human care in the other (Vanak and Gompper, 2009). However, around 75% of the world's total domestic dog population is considered “wandering,” i.e., owners breed them free, and they usually return home only for feeding (Hughes and Macdonald, 2013). These animals supplement their diet through hunting, but even when they are well fed, they can attack and harass wild animals (Gabrielsen and Smith, 1995). The most apparent impact of domestic dogs is the predation on native species (Young et al., 2011). Besides that, domestic dogs can also affect the behavior of some animals, who are eventually forced to change their environment to seek shelter or food (Young et al., 2011; Silva-Rodríguez and Sieving, 2011). There is also the risk of disease transmission and hybridization (Hughes and Macdonald, 2013; Lessa et al., 2016). Another worrying factor is the absence of dogs’ numerical response to their prey population decline, as native predators would. Even with the reduction of prey populations, dogs can still find food near human settlements. The maintenance of dog's populations by humans, regardless of the level of natural resources, guarantees the continuity of predation pressure and competition with other predators, which can lead to the local extinction of native animals (May and Norton, 1996; Galetti and Sazima, 2006). Furthermore, domestic dogs can act as a biological edge effect especially in fragmented habitats which have their vulnerability increased by invasive species (Srbek-Araujo and Chiarello, 2008; Lacerda et al., 2009; Torres and Prado, 2010; Vanak and Gompper, 2010; Paschoal et al., 2012). Starting from 2010, two locally extinct native mammals, the red-humped agouti Dasyprocta leporina and the howler monkey Alouatta guariba, have been reintroduced to Tijuca National Park (Fernandez et al., 2017). These species act as important seed dispersers and can help to restore lost ecological interactions in the area. Researchers observed domestic dogs killing red-humped agoutis and harassing howler monkeys and strongly recommended the control of dogs in the Park (Cid et al., 2014; Kenup et al., 2018). Most of the information available about domestic dogs in nature reserves comes from developed countries, particularly in North America and Europe, where dogs are generally well managed and cared for. Despite their high abundance and widespread distribution, there is a lack of information about dogs in developing countries’ reserves, particularly regarding their interactions with wildlife and their management (Weston et al., 2014). Little is known about population densities and competitive effects of dogs on the distribution and habitat use of native wildlife in most Brazilian protected areas (Oliveira et al., 2008; Srbek-Araujo and Chiarello, 2008; Lacerda et al., 2009; Paschoal et al., 2012; e.g. Lessa et al., 2016). The effects of dogs on the native wildlife should be proportional to: their population density; their proximity to reserve edges, because dogs coming from human dwellings around the reserve would have additional resources allowing them to keep high densities independent of their preys’ densities; proximity to roads which could facilitate the invasion of the reserve; and activity times of wildlife species potentially affected, which would determine the probabilities of encounters with dogs. Thus, this study aims to characterize the domestic dog's population (Canis lupus familiaris) in the Tijuca National Park. To achieve this we (1) estimated the dogs’ population size and density, (2) analyzed domestic dogs’ spatial distribution pattern in relation to the distance of the Park limits and the presence of paved roads, and, lastly, (3) described the circadian activity pattern of dogs and five most common mammal species that are potentially affected by them. The study was carried out in the Tijuca National Park (TNP), located in the city of Rio de Janeiro, in southeastern Brazil (22°55′–23°00′ S, 43°11′–43°19′ W, Fig. 1). TNP is one of the world's most extensive urban forests (3953ha) and the most visited protected area in Brazil. The vegetation of TNP is composed of typical Atlantic Rain Forest species plus some exotic trees, especially jackfruit Artocarpus heterophyllus, eucalyptus Eucalyptus spp. and corn-plant Dracaena fragrans (Cid et al., 2014). Study area (Tijuca National Park) with Brazil and Rio de Janeiro insetted (TNP is represented with a black star into the Rio de Janeiro inset). Park area is showed in gray as well as his sectors: (A) Floresta da Tijuca (where the study was carried out), (B) Serra da Carioca, (C) Pedra Bonita/Pedra da Gávea and (D) Pretos-Forros/Covanca. Within the Floresta da Tijuca sector, black dots denotes camera trap stations that detected domestic dog presence, white dots denotes camera trap stations that did not detect domestic dogs. Gray lines are paved roads located inside and around the Park. Sampling was carried out in one of the four forest blocks that constitute the TNP, denominated Floresta da Tijuca sector (Fig. 1). Using the ArcGIS 10.2 Program (Environmental Systems Research Institute, Redlands, California), a grid of 42 squares (0.5km×0.5km each) was marked, covering a 1050ha area (Fig. 1). A trapping point was set approximately in the center of each square. In each point, a Bushnell™ HD Essential digital camera was set on a tree trunk about 40cm high. Aiming to obtain good images to enable individual identification of the dogs, a bait was placed in front of each camera, consisting of a perforated pet bottle containing paper soaked in 20ml of attractive olfactory for dogs (Good Pet Sanitary Educator, Animal World®) with soft honey scent. The goal was just to stop briefly the animals in front of the cameras; this type of bait does not attract animals from great distances, thus not compromising the statistical independence of the records (Gerber et al., 2011). The cameras used passive infrared sensors and were programmed to get three photos at each detection event, with a minimum interval of 10s between detection events. Sampling occurred uninterrupted from April to September 2016, but there were occasional failures in the functioning of the photographic traps, resulting in a sampling effort of 4302 camera trap-days. All animals recorded by camera traps were identified to the lowest possible taxonomic level, and all records of domestic dogs were computed. Successive photographs of the same individual at the same trap were considered as independent records if they were recorded after an hour apart (Soares et al., 2013; Tobler et al., 2008; Santos et al., 2017). Domestic dog individuals were identified through phenotypic differences such as body size, coat characteristics, and scars. Dog records that did not discriminate individuals were recorded as “unidentified individuals”. Records that could not identify the species were registered as “unidentified species”. The population size of dogs in TNP was estimated by a non-spatial capture–recapture model, following Karanth and Nichols (1998) and Carbone et al. (2001). Computations were carried out using RMark (Laake, 2013), an R interface for the program MARK (White and Burnham, 1999). The models obtained were then selected using AICc (Akaike Information Criterion adapted for small samples; Akaike, 1973). A total of 142 days were sampled and three capture-and-recapture periods were defined through Program R. Each period was composed of 30 days, which best met the criteria of (1) having the lowest number of days without catches, (2) maximizing the number of individuals identified, (3) maximizing numbers of captures and recaptures, (4) allowing for a large sampling effort and (5) allowing no more than one event of bait replacement in each capture season. The three selected periods were all comprised within 106 days. Thus, the population was considered closed in this 106-day span, within which there were three capture periods of 30 days each. The density of dogs in the study area was calculated by dividing the estimated population size by the Effective Sampled Area (ESA). To calculate ESA two border widths (buffers) were used: Mean Maximum Distance Moved (MMDM), and Half Mean Maximum Distance Moved (HMMDM), estimated from the movements of individuals recorded on two or more cameras. These two contour bands were added to the Minimum Convex Polygon (MCP) defined by the intersection of the outermost capture stations of the survey to produce the ESA. The Program QGIS 2.18.7 was used for this analysis. The circadian activity pattern was evaluated for domestic dogs and the five most frequent native species recorded by the camera-traps in the study. The method used was the circular Kernel (Ridout and Linkie, 2009). It describes an activity probability density function along the daily cycle and has the advantage of recognizing the continuous and circular nature of the data (Oliveira-Santos et al., 2013). The analysis was performed using the Program R 3.3.1 (R Core Team, 2016), and the Circular package (Agostinelli and Lund, 2013). The 95% isoline was utilized to describe the complete activity pattern and the 50% isoline to represent the activity core range. The bandwidth parameter used was five, as recommended by Oliveira-Santos et al. (2013). A bootstrap of 200 samples with the original sample size, with replacement, as recommended by Ridout and Linkie (2009) was performed to calculate the confidence interval of the measures of activity duration. Only independent records were considered. Photos were also classified by day (07:00–17: 00), night (19:00–05:00) and twilight (05:00–07:00 (dawn) plus 17:00–19:00 (dusk)). The selection of these periods was tested, for each given species, using a modification of the Ivlev Electivity Index (Krebs, 1999). The proportion of time of each period over the 24h of the daily cycle represented the availability and the proportion of activity density in each period represented the use. Values between 0 and +1 indicate selection and values between 0 and −1 indicate rejection. To evaluate the difference in the pattern of activity between dogs and the other species, pairwise comparisons were used to calculate the overlap of the probability density distributions. Generalized linear models were used to test whether the number of domestic dogs was influenced by the continuous variables “distance from paved roads” (which range from 0 to 1806m, with a mean of 544m) and “border of the park” (from 0 to 1291m, mean 476m). Only distance to paved roads was used, because they are more used by people and have restaurants and pic-nic areas which provide attractive resources. An independent dog record was defined as an individual that was not previously recorded at that station in the past hour; thus groups of dogs counted as multiple records. Models were fitted with quadratic terms for both variables, using a Gaussian error structure and an identity link function. The sampling resulted in 418 records of adult domestic dogs. The identification of 66 of these records was not possible, resulting in a loss rate of 15.8%. From the identified records, 64 independent records of domestic dogs were obtained, belonging to 22 different individuals, whose number of recaptures ranged from zero to six. The estimated capture probability (p) was 0.314 and the estimated population size was 29.00±4.86 (central estimate±standard error; 95% confidence interval=22.00–38.53) domestic dogs. The native mammals with highest frequencies of independent records were N. nasua (405), D. aurita (303), C. paca (266), D. novemcinctus (133) and D. leporina (107). The average of the maximum distance traveled (MMDM) by domestic dogs was 1.708km; therefore the HMMDM was 854m. These two distances were added to the record's Minimum Convex Polygon (MCP), which covered an area of 9.23km2. The results were two alternative Effectively Sampled Areas (ESA) estimates of 39.4km2 by the MMDM method and 21.1km2 by HMMDM. Thus, the estimated densities were 0.74 individuals of domestic dogs per km2 with MMDM and of 1.37 individuals of domestic dogs per km2 with HMMDM. Domestic dogs were recorded at 23 of the 42 capture stations, showing a wide distribution through the study area (Fig. 1). Dog occurrence was related neither to distance from the border (pborder=0.71, pborder2=0.72) nor to distance from roads (proad=0.13, proad2=0.20). Domestic dogs were detected both at points very close (less than 10m) from roads, and at points as far as 1.8km from the nearest road. The same happened with distance to borders. Dogs were detected at points very close to the park border, and as far as 1291m away from it (Fig. S1). The activity of domestic dogs was predominantly diurnal, that is, they rejected the nocturnal period (Ivlev index=−0.347) and selected daytime (Ivlev index=0.195). They did not select nor avoided the dawn (Ivlev index=0.0551) and twilight periods (Ivlev index=0.0177), as the 95% confidence intervals (−0.19661 to 0.2423 and −0.3125 to 0.2182, respectively) include zero. The activity core was unimodal, and the mean of the total activity duration (95% isoline) was 21.09 decimal hours, with a confidence interval of 16.77–21.83. The mean of the active core range (50% isoline) was 7.67h, with a confidence interval of 5.59–8.85 (Fig. 2). Activity patterns of the domestic dog (Canis lupus familiaris) and of the five wild fauna species most recorded in this study (Cuniculus paca, Dasyprocta leporina, Dasypus novemcinctus Didelphis aurita, and Nasua nasua). The solid line indicates the total range of activity and the gray area limited by the dashed line indicates the activity core range. The domestic dog's pattern is shown also as a shade in the background of the other species’ plots. The overlapping values of the total range of activity (q95) and activity core (q50) between domestic dogs and each other species are provided. The total activity time (isoline 95%) overlap between domestic dogs and native mammals were higher for coati and red-humped agouti (0.84 and 0.79 respectively), indicating little variation in the pattern of activity among species. The overlap values of activity core range were 0.41 and 0.24. The species with least overlap to domestic dogs were the paca and the opossum, with 0.26 and 0.27, respectively (Fig. 2). In our study, the domestic dog had a relatively low trapping success and ranked only eighth among the most recorded mammal species. However, this low frequency was expected, considering that in our study the traps were systematically placed within the area, rather than set on tracks, as done in other studies (Srbek-Araujo and Chiarello, 2008; Lessa, 2012; Aximoff et al., 2015), which tends to maximize dog detection. Alternatively, TNP may actually have a low dog density, possibly because of its impoverished fauna (Fernandez et al., 2017). An important result was that no dog pups were detected, suggesting that there is not a resident population in the Park. Instead, our records probably reflect individuals who invaded the Park from the surroundings, to which they probably return at short intervals. Domestic dogs were also observed to move usually in groups of up to four individuals. The population size estimate indicated that about 29 domestic dogs currently use the area. As this is the first population estimate of domestic dog for the TNP, it is not yet possible to assess whether the population is growing, stable or declining. Estimated densities were similar to the two only other studies carried out by camera trapping in Atlantic Forest reserves (Paschoal et al., 2012, 2016). The record of domestic dogs was related neither to the presence of roads nor the distance from Park's limits. This result diverged from other studies where habitats near borders were preferential to dogs (Lacerda et al., 2009; Torres and Prado, 2010). Paschoal (2008), Paschoal et al. (2012) and Santos et al. (2017) also reported in their studies that domestic dogs were not restricted to borders and were found almost two kilometers into the protected area. In the case of TNP, its small size and fragmentation (by roads) could facilitate the access of dogs to every part of the Park, thus masking the edge effects. The presence of domestic dogs in PNT may also be facilitated by the local extinction of their potential predators or competitors, such as large felids (Whiteman et al., 2007; Foster et al., 2010). Furthermore, some studies indicate that domestic dog densities in both rural and urban areas are directly related to human densities (Brooks, 1990; Butler and Birgham, 2000; Kitala et al., 2001). As TNP is surrounded by a large city, dogs can keep high populations and thus high predation pressure even when the prey is declining. The results on activity patterns indicated that domestic dogs are diurnal in the forest. Incidentally, diurnal activity resembles wandering dogs and differs from feral dogs, that are more active at night time (Green and Gipson, 1994; Galetti and Sazima, 2006); this corroborates our interpretation that they belonged to surrounding areas. A consequence of the dogs’ diurnal activity is that their impact should be higher on diurnal animals such as the agouti. This species had been locally extinct and was successfully reintroduced in the TNP (Cid et al., 2014; Kenup et al., 2018), but this success may be jeopardized in the long term by the predation by domestic dogs. Chiarello (2000) reported that predatory action by domestic dogs, along with hunting and the agoutis’ required large home ranges, may have been responsible for their disappearance in some Atlantic Forest protected areas. This same characteristic can also explain the permanence of a population of pacas in TNP, as pacas are nocturnal, thus reducing the possibility of meeting domestic dogs. Domestic dogs tend to hunt native animals because of instinct, and by merely chasing them, dogs can affect the behavior, feeding, and reproductive success of these animals (Young et al., 2011; Silva-Rodríguez and Sieving, 2011). The less care the domestic animals receive from their owners, the more likely they are to feed on wildlife for protein to supplement their diet (Butler and Birgham, 2000; Fiorello, 2004; Silva-Rodríguez and Sieving, 2011). This pattern is prevalent in developing countries because most domestic animals are raised free and do not receive adequate health and food care (Silva-Rodríguez and Sieving, 2011). Although it is feasible, in the short and medium term, to control such a small population of exotic species, in the long term success may be compromised due to the invasion of animals from the outskirts of the park. Thus, environmental education actions should be promoted comprehensively to make the population aware of responsible custody, vaccination, and castration of their domestic animals and the impacts of the introduction of exotic species on local biodiversity. In addition, better control of the public access to TNP is required to prevent domestic animals from entering the protected area, by placing fences in more critical locations and checking out visitors on foot and in vehicles. Only by combining education with control one may be able to change the conscience and behavior of owners, thus obtaining the mitigation of the impact of domestic dogs in protected areas surrounded by high population densities – an increasingly common situation in the contemporary world. To Tijuca National Park's Director, Ernesto Viveiros de Castro, and the Parks's whole team, especially the trails’ monitors that participated intensely of the field work. 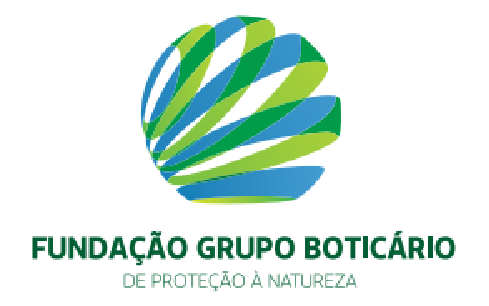 To the teams of Laboratory of Ecology and Conservation of Forests – LECF/UFRRJ, in particular to Thayssa Rangel, and of Laboratory of Ecology and Conservation of Populations – LECP/UFRJ, especially to César Britto, Raíssa Sepulvida and Marcelo Rheingantz. To Paula Koeler Lira and Miguel Coutinho for their help in fieldwork and data sorting. To the Post-Graduate Program in Environmental and Forestry Sciences of UFRRJ. To H.G. Bergallo and M.V. Vieira for useful comments in the first version of this work, and to the two anonymous whose criticisms improved considerably the manuscript. To Olga Lindner for reviewing the English. To the SOS Mata Atlântica Foundation for financial assistance. FAS Fernandez and AS Pires receive CNPq fellowships. R Package ‘Circular’: Circular Statistics. Information theory as an extension of the maximum likelihood principle. I. Aximoff, C. Cronemberger, F.A. Pereira. Amostragem de longa duração por armadilhas fotográficas dos mamíferos terrestres em dois parques nacionais no estado do Rio de Janeiro. Survey of the dog population of Zimbabwe and its level of rabies vaccination. Demography and dog–human relationships of the dog population in Zimzabwean communal lands. C. Carbone, S. Christie, K. Conforti, T. Coulson, N. Franklin, J.R. Ginsberg, M. Grifﬁ, J. Holden, K. Kawanishi, M. Kinnaird, R. Laidlaw, A. Lynam, D.W. Macdonald, D. Martyr, C. Mcdougal, L. Nath, T. O’ Brien, J. Seidensticker, D.J.L. Smith, M. Sunquist, R. Tilson, W.N. Wan Shahruddin. The use of photographic rates to estimate densities of tigers and other cryptic mammals. Influência da caça ilegal sobre mamíferos e aves das matas de tabuleiros do norte do estado do Espírito Santo. B. Cid, L. Figueira, A.F.T. Mello, A.S. Pires, F.A.S. Fernandez. Short-term success in the reintroduction of the red-humped agouti Dasyprocta leporina, an important seed disperser, in a Brazilian Atlantic Forest reserve. Top dogs: wolf domestication and wealth. F.A.S. Fernandez, M.L. Rheingantz, L. Genes, C.F. Kenup, M. Galliez, T. Cezimbra, B. Cid, L. Macedo, B.B.A. Araujo, B.S. Moraes, A. Monjeau, A.S. Pires. Rewilding the Atlantic Forest: restoring the fauna and ecological interactions of a protected area. R.J. Foster, B.J. Harmsen, B. Valdes, C. Pomilla, C.P. Doncaster. Food habits of sympatric jaguars and pumas across a gradient of human disturbance. Disease Ecology of Wild and Domestic Carnivores in Bolivia. PhD Dissertation. Physiological responses of wildlife to disturbance. Impacto de cães ferais em um fragmento urbano de Floresta Atlântica no sudeste do Brasil. B.D. Gerber, S.M. Karpanty, M.J. Kelly. Evaluating the potential biases in carnivore capture–recapture studies associated with the use of lure and varying density estimation techniques using photographic-sampling data of the Malagasy civet. Feral Dogs: Prevention and Control of Wildlife Damage. A review of the interactions between free-roaming domestic dogs and wildlife. Estimation of tiger densities in India using photographic captures and recaptures. C.F. Kenup, R. Sepulvida, C. Kreischer, F.A.S. Fernandez. Walking on their own legs: unassisted population growth of agoutis reintroduced to restore seed dispersal in an Atlantic Forest reserve. P. Kitala, J. Mcdermott, M. Kyule, J. Gathuma, B. Perry, A. Wandeler. Dog ecology and demography information to support the planning of rabies control in Machakos District, Kenya. RMark: An R Interface for Analysis of Capture–Recapture Data with MARK. A.C.R. Lacerda, W.M. Tomas, J. Marinho-Filho. Domestic dogs as an edge effect in the Brasília National Park, Brazil: interactions with native mammals. Os mamíferos de médio porte e suas respostas à fatores ambientais; físicos e antrópicos; sobre diferentes perspectivas; no Parque Estadual da Ilha Grande – RJ. Dissertação. I. Lessa, T.C.S. Guimarães, H.G. Bergallo, A. Cunha, E.M. Vieira. Domestic dogs in protected areas: a threat to Brazilian mammals?. Influence of fragmentation and disturbance on the potential impact of feral predators on native fauna in Australian forest ecosystems. V.B. Oliveira, A.M. Linares, G.L.C. Côrreia, A.G. Chiarello. Predation on the black capuchin monkey Cebus nigritus (Primates:Cebidae) by domestic dogs Canis familiaris (Carnivora:Canidae); in the Parque Estadual Serra do Brigadeiro; Minas Gerais, Brazil. Oliveira-Santos, L.G. Rodrigues, C.A. Zucco, C. Agostinelli. Using conditional circular kernel density functions to test hypotheses on animal circadian activity. Predadores em fragmentos de Mata Atlântica: estudo de caso na RPPN Feliciano Miguel Abdala, Caratinga, MG. MSc thesis. A.M.O. Paschoal, R.L. Massara, J.L. Santos, A.G. Chiarello. Is the domestic dog becoming an abundant species in the atlantic forest? A study case in southeastern Brazil. A.M.O. Paschoal, R.L. Massara, L.L. Bailey, W.L. Kendall, P.F. Doherty Jr., A. Hirsch, A.G. Chiarello, A.P. Paglia. Use of Atlantic Forest protected areas by free-ranging dogs: estimating abundance and persistence of use. Estimating overlap of daily activity patterns from camera trap data. C.L. Santos, A.P. Silva, S.B. Santos, R. Pardini, C.R. Cassano. Dog invasion in agroforests: the importance of households, roads and dog population size in the surroundings. Influence of care of domestic carnivores on their predation on vertebrates. C.S. Soares, L.F. Faneca, R.M.F. Barreto, M.R.D.V. Alvarez. Levantamento de mamíferos de maior porte em seringais e florestas do sul da Bahia (Brasil) utilizando armadilhas fotográficas. Domestic dogs in Atlantic forest preserves of south-eatern Brazil: a camera-trapping study on patterns of entrance and site occupancy rates. M.W. Tobler, S.E. Carrillo-Percastegui, R. Leite Pitman, R. Mares, G. Powell. Further notes on the analysis of mammal inventory data collected with câmera traps. Domestic dogs in a fragmented landscape in the Brazilian Atlantic Forest: abundance, habitat use and caring by owners. Dogs Canis familiaris as carnivores: their role and function in intraguild competition. Interference competition at the landscape level: The effect of free-ranging dogs on a native mesocarnivore. M.A. Weston, J.A. Fitzsimons, G. Wescott, K.K. Miller, K.B. Ekanayake, T. Schneider. Bark in the Park: a review of domestic dogs in parks. Program MARK: survival estimation from populations of marked animals. C.W. Whiteman, E.R. Matushima, U.E.C. Confalonieri, M.D.C. Palha, A.S.L. Silva, V.C. Monteiro. Human and domestic animal populations as a potentialthreat to wild carnivore conservation in a fragmentedlandscape from the Eastern Brazilian Amazon. J.K. Young, K.A. Olson, R.P. Reading, S. Amgalanbaatar, J. Berger. Is wildlife going to the dogs? Impacts of feral and free-roaming dogs on wildlife populations.